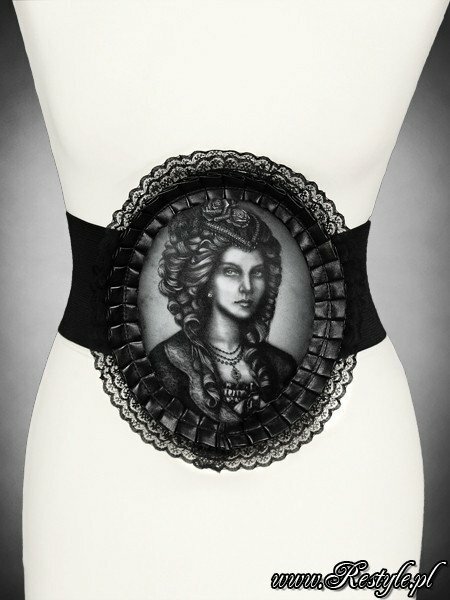 Waist elastic hologram cameo belt in lace frame "SKELETON LADY"
You save 44% (6,71 €). 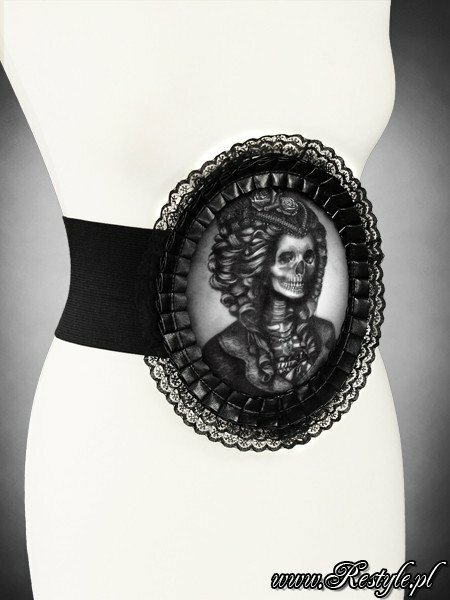 Gothic belt for your waist. Strap is made of black, wide elastic. with skeleton x-ray appears slowly on her. Picture is moving constantly, from side to side. and two layers of lace. The oval part of belt has been properly stiffened with faux-leather. Belt has metal zipper on the back. This belt will be perfect accesory for your outfit. It can be wear on corsets, blouses, tops or dresses. Please also check other hologram items in our shop. Belt is presented on our VIOLIN corset. Really beautiful! It is also very comfy and I get a lot of compliments on the belt. It works great over a corset or without a corset. It looks great, just as described in the picture. I made it a bit tighter, as I have a waist of 56 cm, and now it fits perfectly. 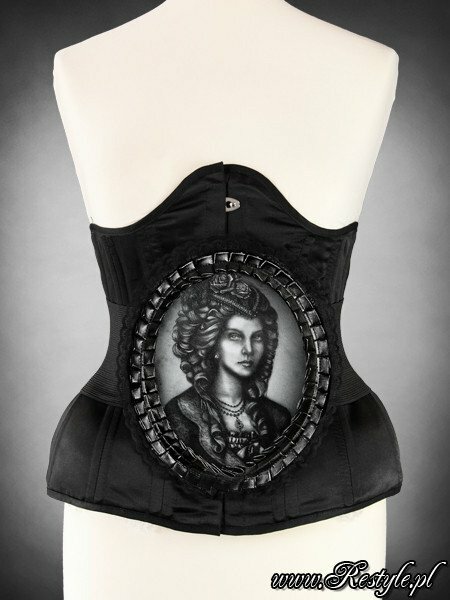 It goes verry well with any corset. I am pleased with the color. Some time ago I ordered a pair of pants with a color that didn.t fit anything. Well, now I found the solution and this belt helped me make a new gorgeous outfit. A bit tight for larger women, but would give a good corset effect. The hologram is fascinating. Very attention getting piece. Fits beautifully! The zipper on the back is a bit tricky at first but the quality is very high and it looks wonderful.